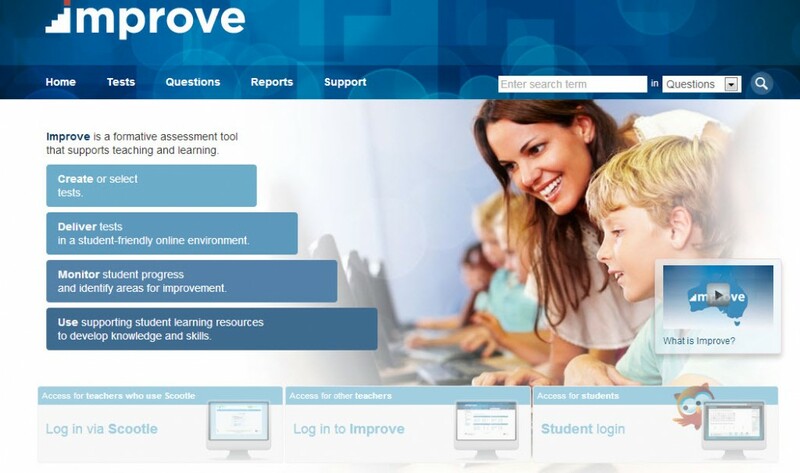 Improve is a formative assessment tool that allows teachers to create and set tests and deliver these online to students and to support students’ individual learning. A bank of more than 8,000 test items has been drawn from teachers and from national and international sources, and included ready-made tests. Teachers can create their own questions in a variety of formats and share these with their school, jurisdiction or system. Tests are currently available in English, science and mathematics. And it’s freely available to all teachers in Australia. Start using Improve now. Watch this brief video to see Improve in action.